Now, I am a modder (I modded many WWII FPS games such as CoD 1, MOHAA and BIA) and someone says that I'm pretty good. Lurking the forum, I read that the ONLY way to allign Ironsights would be raising the animation of the right handin the "stativ_aim.stg" files. I also know that the ONLY way to do this, is to use a private tool of an ex-pterodon dev that had the BRILLIANT idea not to release it. Nice way to decrease the lifespan of a game. I tried EVERYTHING: swapped animations file between a weapon and another, importing the "Stativ_aim.stg" from vietcong 2 into VC1...NOTHING WORKED. Am I the only one who is interested in improving this major flaw in this game? Certainly . 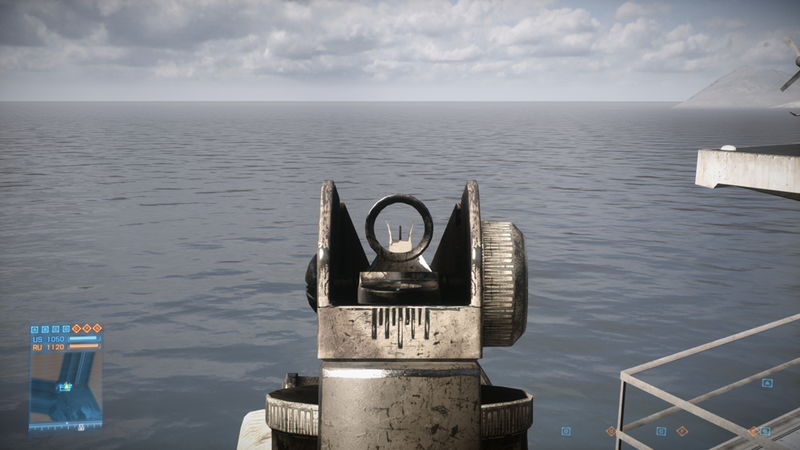 its funny , but most iron sights on vietcongs are not alligned . that iron sight of panmagazine machinegun is joke lol . Contrally , the Iron sight for sten mk.II is damn real . why !? and also , for utmost reality , gun should be jammed . especially the delicate one as M16 . for ultimate reality , there should be maintainance kit as bore brush . like , without maintainnance the gun will jam . obviously AK47 might have advantage over M16 on that case . lol . Can you provide an example of the alligned ironsight from another game? Well, Actually the stuff of the jamming weapon is PRESENT in FC2...so, it's not an absurd request. However, of course it will be harder to perform a point-blank shot, but the weapon will feel more precise when aiming at a mid-long distance target. Yeah, I wish to make vietcong more realistic by fixing this issue...I said MORE realistic, not ABSOLUTELY realistic. It's a videogame, after all. 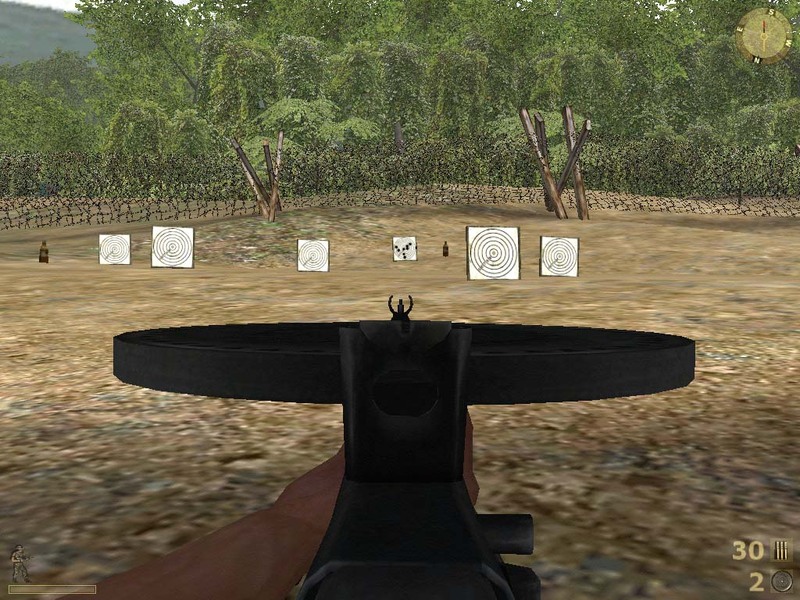 But the aiming system in vietcong is just....absurd. Where can i download the realistic sight mod for VC ? 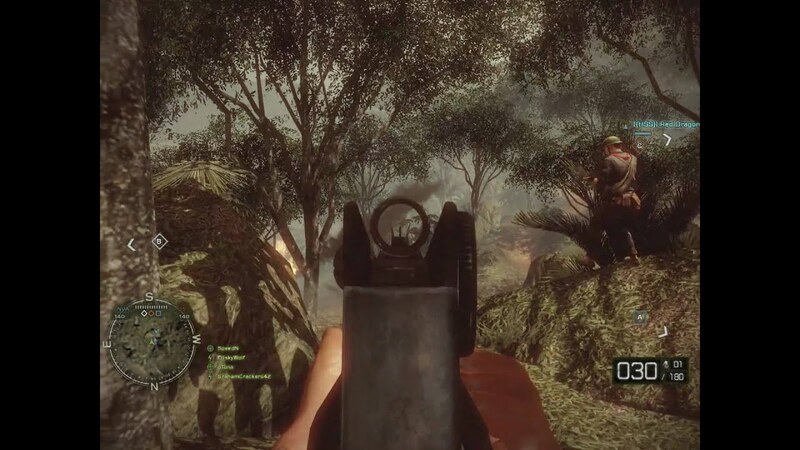 Can you provide an example of the alligned ironsight from your vietcong sight mod ? Im so interested . Imo ist not possible to add the Jamming function into the game because the weapons function is hardcoded in the engine. Eventually there is a way to randomize Magazine capacity like from 18 to like x bullets for the M16 which would result in an empty Magazine after the x shot, but then you also have to store the total number of bullets shot compared to Initial bullets and you must also find a way to trigger this once every Magazine reload. Thats beyond my Scripting knowledge, maybe Kosti or Ando can tell more, but i doubt that it would work. As for the alligned ironsight: you can play around with the zoom factor of the weapons but this is firstly considered as cheating and its not the way you wanted it. The zoom factor zoomes the whole distance to the enemy and not only to the grain of your weapon so enemies appear much bigger and are easy to shoot. The problem is NOT the FOV when you "aim"...is the fact that the aiming system in VC is TOTALLY WRONG! It's not about the zoom...it's about the ALLIGNMENT ITSELF. Now, I'll try to import models + animations from VC2...I doubt that it will work, but I'll try. However, the easy way would be edit the .stg files...any ideas? How could I do that? 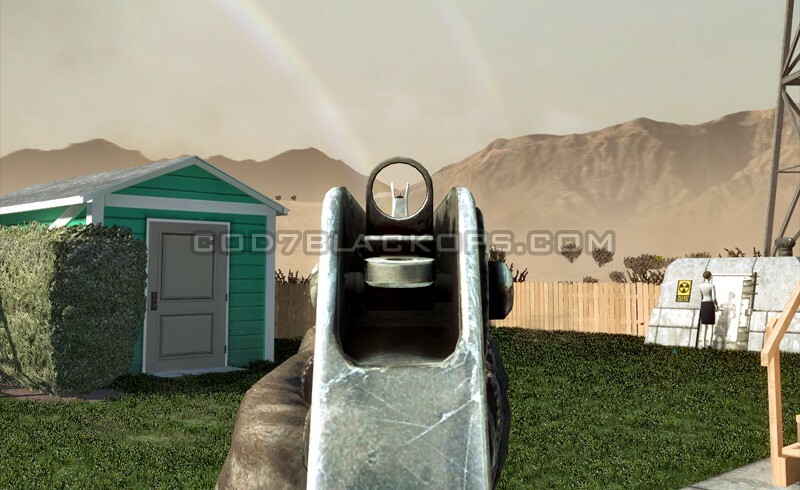 You're right, the alignment is off, but the key is that the top of the barrel sight in most weapons(including those of the various games you have used as examples) is still where the bullet will hit. Its something that most people probably haven't even noticed in Vietcong(I'll admit I didn't)so I'm not sure it's worth the time to play with it, but that's completely up to you I suppose. Other than aesthetics and sensibilities I don't think it changes much. I want reality iron sight badly . 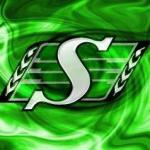 some one make one for me . 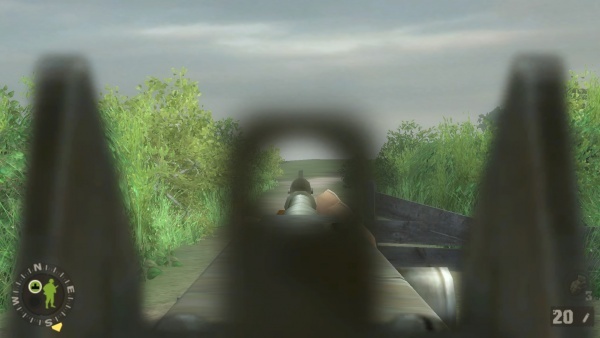 I personally don't think that VC needs more realistic ironsights. The game is not pure simulation, it's rather about fun. The Vietcong models are perfectly suitable for an ADS mod, since they have notches, peeps and front sight modelled....the problem is: they're not alligned! It's 2016, guys....is it possible that there's no way to achieve that goal?? 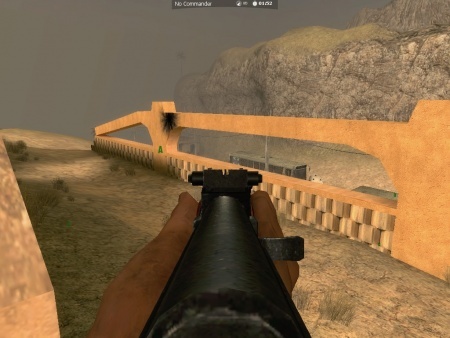 Vietcong 2 was annoying not because of realistic Ironsight. In VC2, the entire shooting system was poorly made. 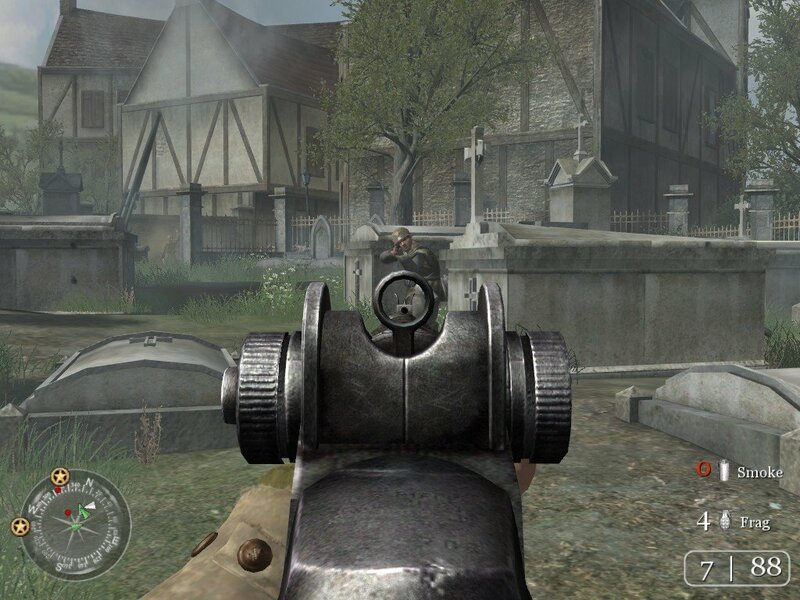 One of the issues on the Ironsights of VC2 is that the model was WAAAAY to close to the camera. If I manage to edit .stg files for VC1, I could edit the animation anyway I can...and, trust me, the Ironsights won't be that "annoying"
that's what I'm trying to make...but I could use some help. 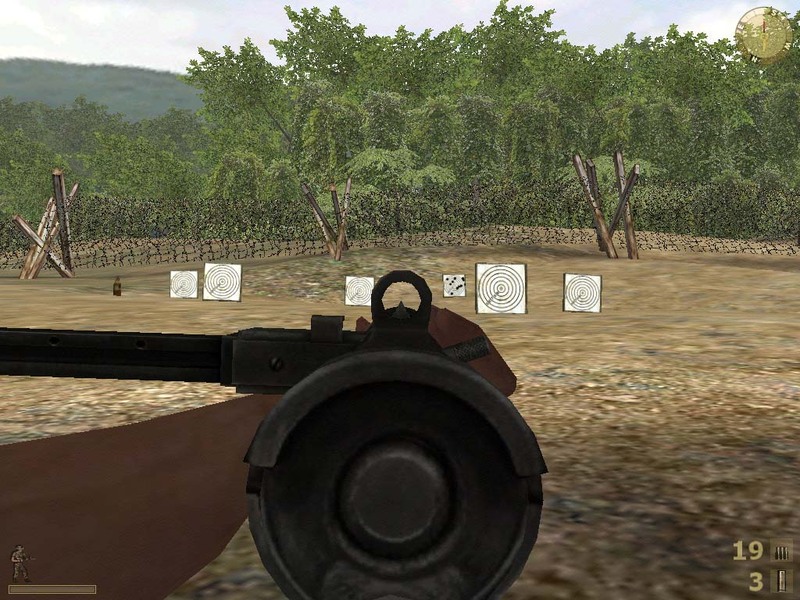 To inform all those who don't know it yet, the Vietcong ironsight is not a mistake but something Pterodon wanted. If I'm not wrong, the main goal was to have a non-obstructive view for a better gameplay... Maybe they made the wrong decision but at that time they thought it was the best compromise between gameplay vs realism. Personally, at the beginning, I would have prefered more realistic ironsights but after all those years, I'm not even sure to want them corrected... I would say it became "a part of Vietcong's features" and to be honest, when I play, I don't think about it anymore! Instead, I would like to see all the little bugs finally corrected and fixed (sounds, textures,...). Or the addition of Nhut and Nguyen characters, without to forget "tripflares" and a finally working "blooper" for our coop missions (just few examples)! Id love to listen it all the day , baby . Ok, maybe some of you are ok with this type of... "sight system"
I just wish to know if there's ACTUALLY a way to edit them. What program or plug-in I should use to get this thing done? There is no way to edit the ironsight the way you want them to be edited. 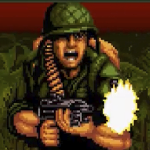 As for the jamming there may be a way, though the M16 magazine capacity is set historical correctly to 18 bullets which was the way to prevent jamming.